Lance Cpl. Neal Claar is a long way from the mean roads of Afghanistan, but he was on a very good road to recovery while visiting his family in Nebraska recently. In September, Claar was severely injured by a young suicide bomber in Afghanistan. The bomb shattered his femur, the long bone in his leg, took his left eye and injured two fingers on his right hand. His body sustained multiple shrapnel wounds. Claar, who remembers the bombing and the immediate time after the incident, recovered for three months in Veterans’ Hospitals in Maryland and Minnesota. 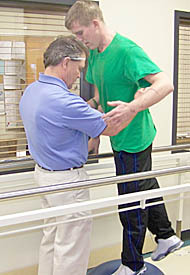 His recovery in those facilities went well and in December of 2010, Claar was able to choose a follow up facility to continue his rehabilitation. 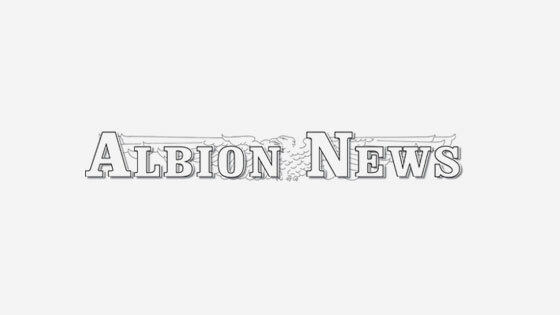 “Without a doubt, I chose to come home to the Petersburg, Albion area and continue my rehabilitation at the Boone County Health Center,” said Claar.